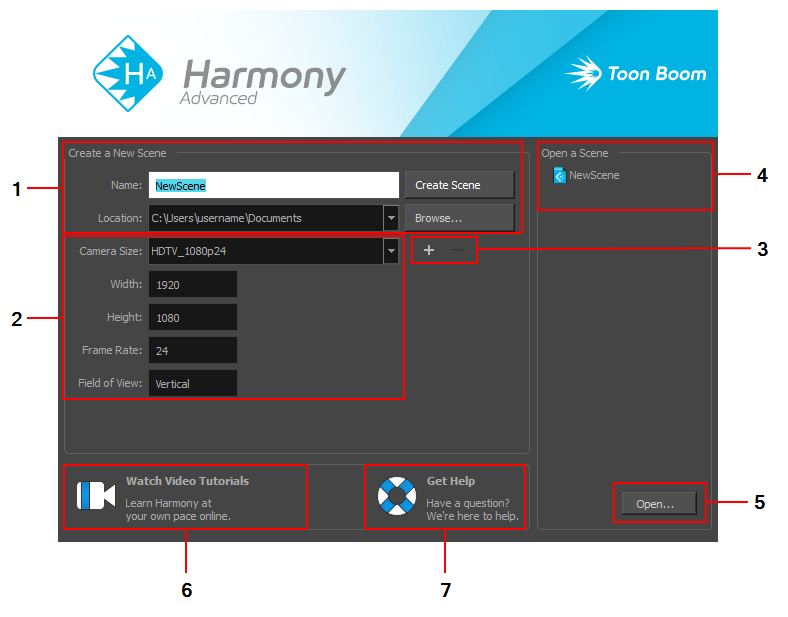 When you start Toon Boom Harmony, the Welcome screen appears. If a scene is already open, you can display the Welcome screen by selecting Help > Show Welcome Screen. NOTEIf you are using Harmony Server in Database mode, the Welcome screen will not open. Instead, the database selector will open and allow you to open a scene from the database.